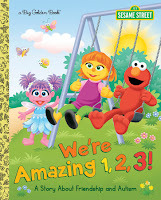 Sesame Street books are always so good at teaching kids in a fun way. This book looks terrific! I love that Sesame Street is still going strong. I watched it as a child, our kids watched it and I'm hoping our grandchildren do too someday!